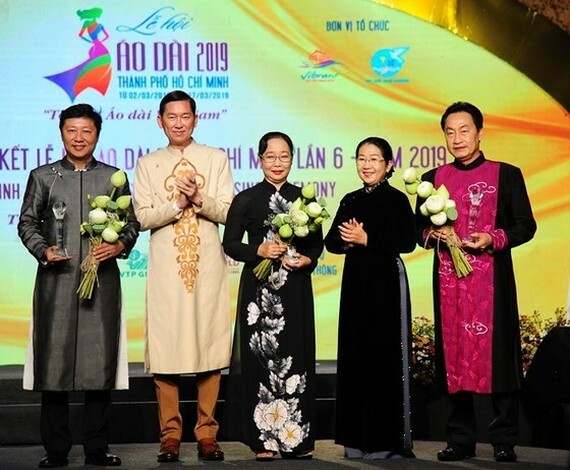 The Ho Chi Minh City Ao Dai Festival 2019 wrapped up, attracting more than 100,000 visitors, announced the organization board on March 17. Participants included 15 celebrities who have been chosen as ambassadors of the festival, 26 fashion designers, 360 tailor shops, 2,657 contestants of contests and competitions during the event. The festival presented to visitors 5,000 Ao Dai with 35 million views through social media channels. 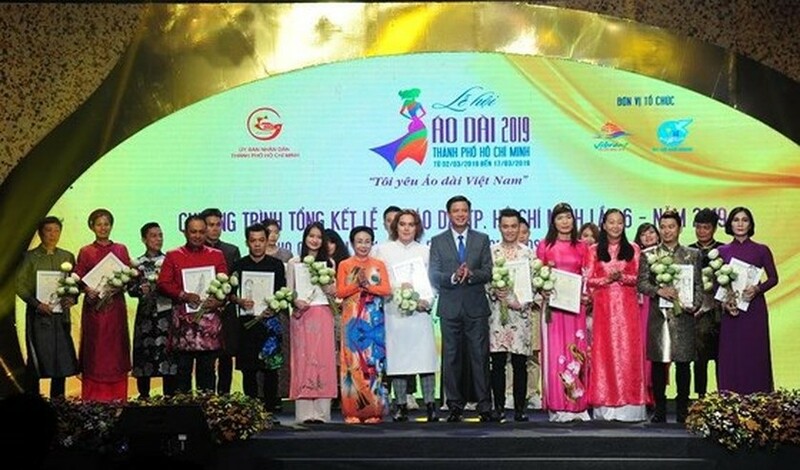 Speaking at the ceremony, Vice chairman of the municipal People’s Committee Tran Vinh Tuyen highly appreciated the city’s annual Ao Dai festival as it have contributed in honoring Vietnamese traditional dress and spreading pride and love on Ao Dai. Mr. Tuyen asked the municipal tourism industry to enhance the attractiveness and provide high quality tourism products to draw more visitors as well as to preserve and develop the unique quintessence of the Vietnamese culture. The Ho Chi Minh City Ao Dai Festival 2019 themed ‘HCM City’s Charming Ao Dai” was organized from march 2-17. The 6th edition offers a wide range of cultural activities, including Ao Dai fashion show presenting a collection of Vietnamese traditional dresses in the past and present of the Ao Dai Museum in Thuan Kieu Square in district 5 on March 6; Ao Dai design contest on March 9-10 at Ho Chi Minh City's General Sciences Library; an Ao Dai display at the Ao Dai Exhibition in district 1 and Ao Dai Museum in district 9 from March 1- April 30; a workshop of Ao Dai and the traditional Japanese craft of 'Tsumami Zaiku', the folding of fabric into flower shapes; a seminar on traditional materials used to make Ao Dai and among. 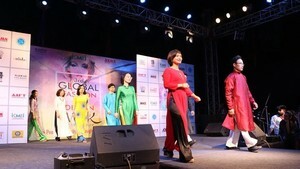 The organization board honor fashion designers in the closing ceremony.